Steven Gerrard has admitted his “disappointment” at Paul Gascoigne’s nomination to the Scottish Football Hall of Fame being withdrawn. 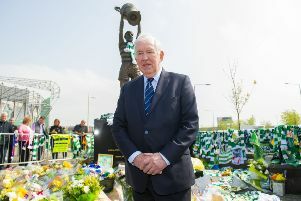 The former Ibrox midfielder was expected to be honoured at an official dinner this weekend alongside women’s football legend Julie Fleeting, but the Hall of Fame committee performed a U-turn after members of the Scottish FA board threatened to boycott the ceremony, and cited the 51-year-old’s health as one of the driving factors behind the withdrawal. Asked about the situation, former Liverpool captain Gerrard said: “Paul Gascoigne is my hero - a player I admired an awful lot. I bought the videos, the CDs, the shirts - all the memorabilia that comes with Gazza. “He’s my hero, so I’m disappointed for him, of course. It’s a shame because as a player and a talent and a man, he deserves to be in [the Hall of Fame]. Rangers fans have planned a tribute to the ex-England international at their Betfred Cup semi final match with Aberdeen.